Chancellor George Osborne outlined the government's economic plans in his autumn statement this week and revealed a number of commitments to technological progress in the UK. The tech highlights of the speech included plans to overhaul the country's digital infrastructure and offer tax relief to start-ups that chose the UK as their base. 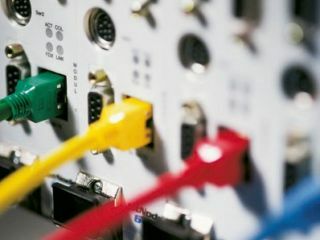 The statement comes at a time when the UK and Europe faces a worsening economic climate, so it's reassuring that broadband and mobile phone connectivity still very much feature in the government's budget plans. "We will overhaul the digital infrastructure [of the UK]," explained Osborne. "The government is funding plans to bring superfast broadband to 90 per cent of homes and businesses across the country, and extend mobile phone coverage to 99 per cent of families. "This will help create a living, economically vibrant countryside." It is not just the countryside that is getting help from the government. Part of Osborne's commitment to super-fast broadband is that there is set to be improvements to ten cities in the UK. "Our great cities are at the heart of our regional economies. And we will help bring world-leading, superfast broadband and Wi-Fi connections to ten of them," he revealed. Some of the cities to benefit are: London, Cardiff, Edinburgh and Belfast. The government is hoping to entice small and medium sized businesses to the UK and has also committed to funding new scientific projects. "At a time of difficult choices, we made ours last year when we committed to protect the science budget," explained Osborne. "Today we're confirming almost half a billion pounds for scientific projects, from supercomputing and satellite technology to a world-beating animal health laboratory. "We will provide funds for smaller technology firms in Britain who find it difficult to turn their innovations into commercial success. "We have listened to the ideas from business groups about encouraging innovation in larger companies, and we will introduce a new 'above the line' research and development tax credit in 2013 that will increase its visibility and generosity." In all, there will be an extra £100 million invested in better broadband for cities which it hopes will entice small businesses to the UK.